There is no doubt that the task of preaching can sometimes be overwhelming. 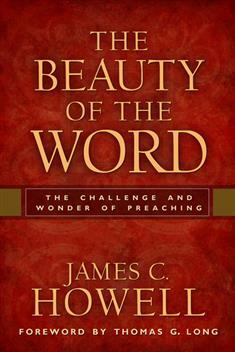 Combining veteran wisdom, practicality, and a contagious reverence for the beauty of God's Word, veteran pastor James C. Howell leads pastors and teachers through the joyful and perplexing craft and practice of preaching. Drawing on a wide range of resources, Howell provides discussions on the "Subject Matters of Preaching," "Where Sermons Happen," "When Sermons Happen," and the "Life of the Body." The conclusion on "The Preaching Self" considers the person of the preacher. These seasoned reflections will be of great help for all who preach.